unique cone crushing plant provides exceptional interlocking properties. The Pattison Aggregate Cone Crushing Plant is state-of-the-art. hardest limestone ledges in all of Iowa. of the art, loading system. 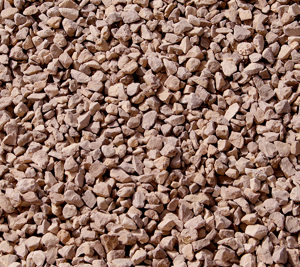 AREMA Ballast (4,4a & 5) is produced using premium Ordovician Dolomitic Limestone. It is manufactured to specified physical properties and predetermined sizes. Because the material is impacted by high vibratory movement when utilized by railroads, the quality of material must be of the highest quality available. 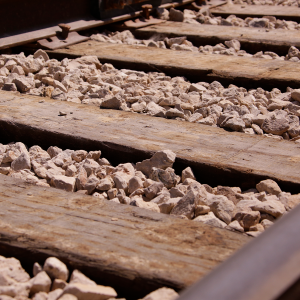 AREMA Ballast (4, 4a, & 5) is also known as ballast stone, railroad ballast, walking ballast, mainline ballast, shortline ballast, and yard ballast, This material is used primarily for railroads as mainline ballast or cross walk material. Because the purpose of AREMA Ballast is to improve drainage. Ordovician Dolomitic Limestone is the perfect source material. Ordovician Dolomitic Limestone’s physical properties enhance drainage and it’s interlocking shape helps to stabilize and disperse the load of the overall track structure. AREMA Ballast (4, 4a, & 5) is very effective when used as a base for agricultural construction. It is a excellent choice of bedding material because of it’s drainage properties. These properties promote the stabilization of roadways where water or traffic may cause soft sections. Pattison produces AREMA Ballast products in our state-of-the-art, jaw/cone crushing plant. Our plant features a compression crushing system that is designed to reduce fines and increase fractured faces. 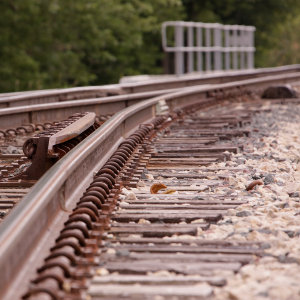 Pattison high quality AREMA Ballast is excellent for shortline railroads and private company rail sidings. With a direct to rail transfer system, products move quickly from production to rail loading with minimal handling. This dramatically reduces product degradation and handling costs. Aggregates can be delivered directly onto railroad tracks with Pattison’s bottom dump hopper cars. This saves our customers additional handling costs. Pattison’s facility offers multiple quality ledges that meet railroad specifications throughout the United States. When used in non-railroad environments such as roadways, superior freeze/thaw properties reduce maintenance costs and enhance durability. Here’s what Wikipedia has to say. When it comes to rock, age really matters. Ordovician Dolomitic Limestone is some of the highest quality, hardest and most durable anywhere in Iowa. Ordovocian formations are only found in the northeast portion of Iowa. Pattison’s Clayton, IA quarry site is right in the middle of it. AREMA 5 1.5" x 3/4"
Disclosure: The information presented above is to the best of our knowledge accurate based on testing by certified independent laboratories. Any recommendations or suggestions are made without guarantee since conditions and/or material handling are out of our control. Pattison warrants that purchased product will meet the specifications set forth by the buyer. Pattison’s newly installed Cone Crusher and production plant is state-of-the-art, producing some of the highest quality Ordovician Dolomitic Limestone AREMA Ballast. Material is separated into various required sizes without inducing fractures, while yielding a refined individual rack shape that is the most desirable for tight compaction and stability. Pattison’s new aggregate plant produces AREMA Ballast of exceptional quality. Pattison recently completed its Rail Spur project, extending multiple rail lines directly into our new state-of-the-art aggregate production plant!. Pattison’s advanced direct to rail loadout system coupled with the Pattison rail spur allows aggregate products to be loaded directly from the production plant on to enclosed rail ore cars for delivery. Eliminating excess handling saves costs, and insures a higher quality product. Pattison produces high quality ordovician dolomitic limestone and high quality silica proppants. Our Clayton IA, quarry contains multiple limestone ledges yielding material with a variety of properties that meet various requirements. Our products are certified for use by multiple state Departments of Transportation, and the FAA. Contact our Aggregate Sales Team for more information! Contact our Aggregate Team Now! Our quarry is located in Clayton, IA. We are one of the only sources of Aggregates and Proppants that can load directly to Rail, Truck or Barge from the same facility! Our logistic & delivery systems out pace our competitors. We’d love to hear from you! The Pattison family has, for their entire 60-year history, consistently proven their commitment to their customers, employees, their community and the environment.